Heartland Waffle Route for sale in Western Montana and Eastern Idaho for $49,900! 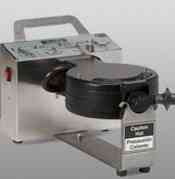 Currently grossing $279,863 in revenue and nets $38,273 per year as an owner/operator of the business. Seller distributes to 165 accounts that include hotels, restaurants, and lodges. Accounts are serviced once a month. 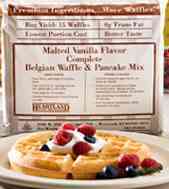 Heartland Foods currently distributes its brand of waffle mix, pancake mix, syrup, fruit toppings, waffle cups, pans and ranges. Current owner is able to service this route in under 12 days a month. Territory is purchased through independent distributor and contracted through Heartland. Huge growth potential! Currently this route grosses $279,863 per year. Income documentation will be provided to all serious buyers. As an independent distributor you are paid a commission of your gross sales. Commissions vary depending on the products sold. This route currently receives an average of 20% of its gross weekly sales of $5,382 ($1,076 per week). Expenses include, but are not limited to: fuel, repairs, warehouse fees, handheld computer, and insurance for your business. The current owner estimates $17,700 per year in expenses/overhead. There is no vehicle included in the purchase. The current owner services this route using a 2010 Isuzu NPR box truck (estimated value is $15,000) and a 2016 Road Force Trailer (estimated value is $2,500). These are available to purchase as a separate transaction. Common delivery vehicles are vans, cargo trailers, or box trucks. When considering additional vehicle lease or purchase, Routes For Sale recommends Bush Trucks. The gross income for the route is $55,973 per year, minus $17,700 estimated yearly expenses as mentioned above gives you the net of $38,273 per year as an owner/operator of the business. All Heartland routes determine the selling price of their route by using a 2-3 multiple of their yearly cash flow/net income, plus assets. Heartland requires a background check, you must have no felonies and have a decent driving record. Yes, as an independent distributor you sign a service agreement to represent Heartland. The contract is to protect both the company and its independent operators. Seller is starting a new business. You will be required to rent/own a viable storage facility that can be located in an area of your choice. Current owner rents a location within the territory. The current seller has owned the business for over 4 years. You create your own working schedule. Current owner services the route 3 days a week in winter and 4 days a week in summer, with the 4th week of every month being off. As an independent operator/business owner you are responsible for the route being serviced. It is our recommendation that you hire/train someone to cover for personal time needed off. This Heartland Waffle Route has a large territory and opportunity for growth! Established & Turnkey… Start making income the day you take it over. Territory for this route includes Western Montana and Billings as well as Eastern Idaho (from I15 to Idaho Falls/Rexburg). Priced at $49,900! Contact Us About This Route Here!